Annual purchases may be fully refunded within 30 days of the start of service (or service renewal date if applicable). Monthly purchases may be fully refunded within 48 hours of the start of service (or service renewal date if applicable). The Product or Service must be canceled at the time of the request for refund. You may request a refund for any unused portion of the term of service that remains at the time of the cancellation. The refund may be calculated at a prorated amount based on the unused portion. 10% of the initial agreement (e.g., Annual or Monthly rate...) may be charged or deducted from your refund amount as a Servicing fee. You will only be eligible for one refund per product or service purchased. You must include a reason for your refund request. A service fee may apply to returns or refunds to cover credit card processing and/or bank fees. You may request a refund for any hours or per task (depending on the service agreement or accepted quote) dedicated to custom programming that is not completed at the time of the cancellation. The refund may be calculated at a prorated amount based on the unused portion. If you believe there is a legitimate reason for refund within 7 days of purchase, please contact mailto:WalkTheWeb@walktheweb.com with details and we will consider your plea. All judgement and decisions are at the discretion of HTTP3D Inc. authorized representatives. If you believe there is a legitimate reason for exchange or store credit within 30 days of purchase, please contact mailto:WalkTheWeb@walktheweb.com with details and we will consider your plea. All judgement and decisions are at the discretion of HTTP3D Inc. authorized representatives. Exchanges may require additional shipping charges. 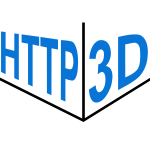 "http://3d", "https://3d", "http3d", "Walk the Web" are service trademarks of HTTP3D Inc.
You can request a refund by emailing WalkTheWeb@walktheweb.com. Please note that 3D Browsing is a Patented new technology solely operated by HTTP3D Inc. and Aaron Dishno Ed.D. HTTP3D Inc. will do its best to provide the highest level of service to all of our customers. Feel free to contact us at any time to resolve any hosting related issues. Please try to communicate your needs, and we will do our best to assist. We value your business and hope to work with you through many years of service.